Please note that this year's Spring Story Hours will be held on Mondays and that there are two times to choose from: 10:15 am and 1:15 pm. Play to Learn will meet at 9:00 am the first Monday of each month, March 4 and April 1. ***RESCHEDULED: Both programs originally scheduled for April 11 have been CANCELLED. The children's Money Basics program has been rescheduled for Tuesday, April 16 at 3:45 and again at 6:00. We have uploaded some educational apps to the i-pads. Children are welcome to use the i-pads (with adult supervision) whenever the library is open. Each one now has 2 pair of headphones attached so parents may participate with their children. Both programs are sponsored by the Illinois School Library Media Association (ISLMA). Each year, a list of books is chosen by the statewide committee, and Carthage Public Library purchases and displays the books. 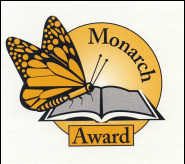 Children who read or listen to the required number of books (5 for Monarch, 4 for Bluestem) are eligible to vote for their favorite. Students who attend Carthage Primary usually vote in the classroom. Home schooled students (or students from other school districts) may ask for a ballot at the Library in February. Carthage Public Library will submit the votes to the state. Small prizes are usually awarded to individuals or classes who complete the program. The 2019-20 reading lists are posted on the websites. ​eReadIllinois site with the axis 360 app. For your convenience, we will create folders with the available books. When logging into the eReadIllinois site from your computer, select "Statewide Reading Lists" from the top Menu bar. 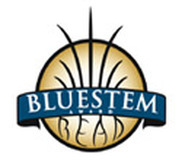 Look for the Bluestem folder on the left side. Unfortunately these lists are not visible on the mobile app. Disclaimer: The Carthage Public Library is not responsible for the content or accuracy of any of the websites shown below. Although the Library has made an effort to screen the websites , it is not possible to explore them completely. Be sure to read all privacy policies. Some of the sites may contain advertisements. 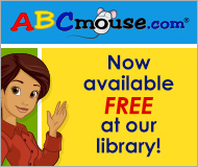 ABCmouse.com: With 3,500+ interactive books, educational games, puzzles, and other learning activities, ABCmouse.com's award-winning online curriculum is an invaluable resource for young learners (ages 2-6+) From Age of Learning, Inc.
Storyline Online: The SAG-AFTRA Foundation records well-known actors reading children’s books and makes graphically dynamic videos so that children around the world can be read to with just the click of a Storyline Online video book image. DKfindout! From the publisher of DK children's books. Explore animals, math, science, history,and more. PBS Kids Sections for Curious George, Arthur, Daniel Tiger, and many more. Find a Book Illinois (http://www.lexile.com/fab/Illinois) helps you find good fit books for your child. Type in your child's lexile score or grade level information and his/her interests. As you browse the lists of books there is an option to "Find it in a Library" to see if it's available at the Carthage Public Library. Please remember that if we don't own a book, we can usually borrow it for you from another library.